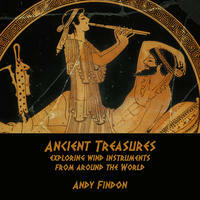 Andy Findon : Ancient Treasures, exploring wind instruments from around the World. A selection of wind instrument tracks composed, performed and recorded by London musician Andy Findon. Each instrument evokes images of ancient ruins from various historical and geographical areas, including - Middle East, Mesopotamia, Ancient Rome, Celtic Britain, Amazonian Rainforests, Far East, The Andes, Armenia. They're well suited to documentary use, as background to images. Mistral by Shira Kammen: early folk and celtic music. The Dawn of Joy by Shira Kammen: early folk and celtic music.